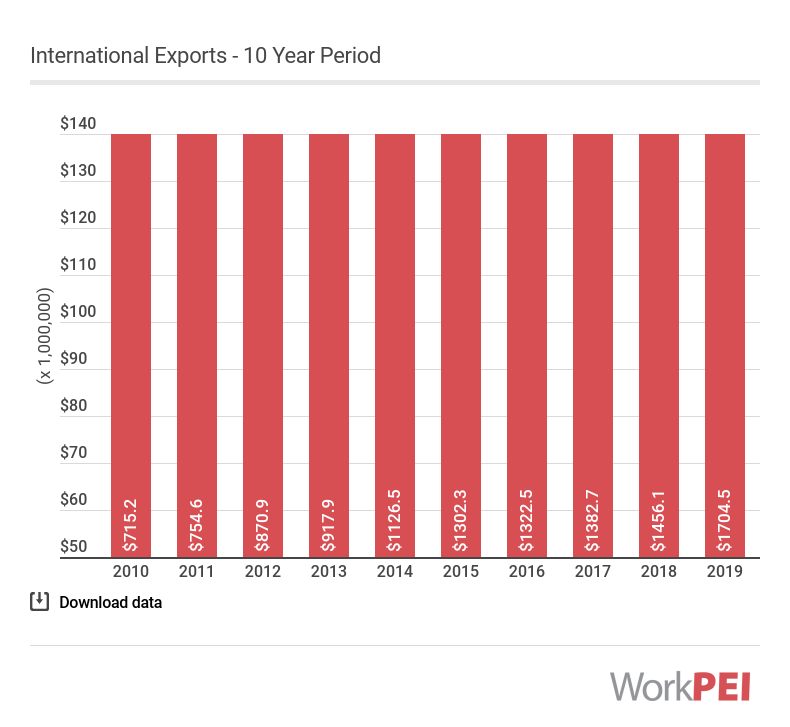 International merchandise exports for Prince Edward Island were $153.5 million in December 2018, 32.7% higher than the same period last year. 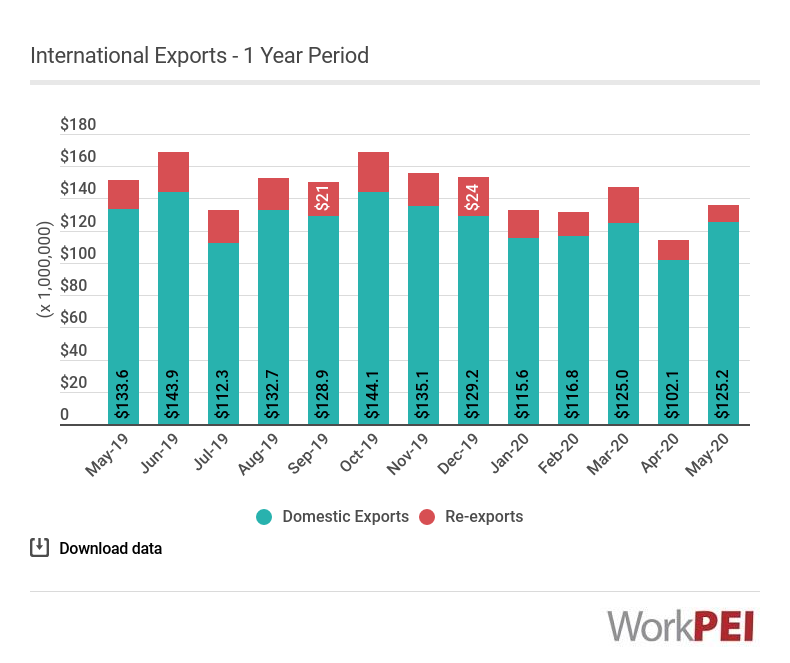 Canadian exports decreased 0.1% over the same period. 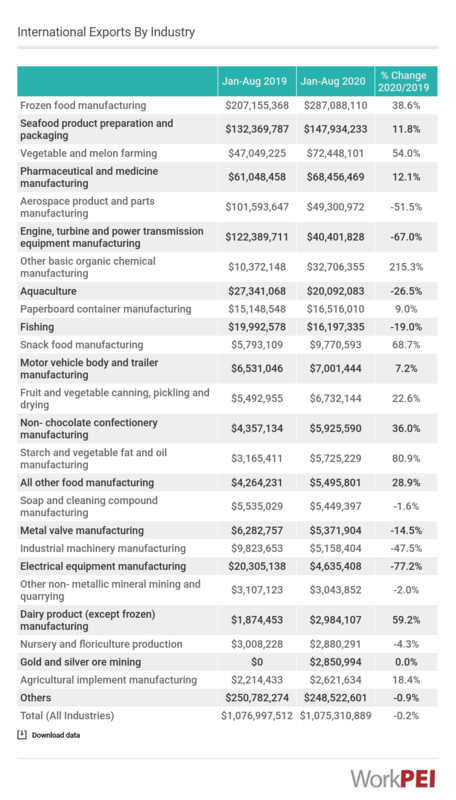 Adapted from Statistics Canada, Table 12-10-0119-01 (International merchandise trade by province and commodity). 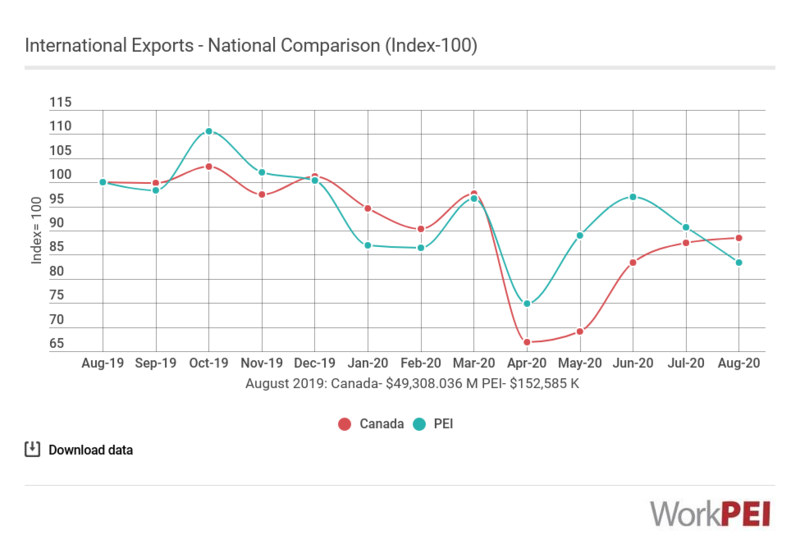 This does not constitute an endorsement by Statistics Canada of this product.